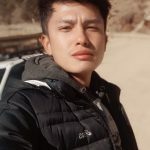 He is Karma Phuntsho and a co-founder of Drukadvice.com. DrukAdvice is mainly founded to guide foreigner about travelling in Bhutan through various pictorial images and travel route. CLICK HERE To Investigate on why does Bhutan don’t have KFC, McDonald ’s, Burger King, Subway, Starbucks restaurants?